Dubai - As the iconic cathedral of Notre Dame burned in Paris, a fire broke out at Al Aqsa mosque in Jerusalem. A fire broke out at the roof of a structure known as Al Marwani prayer room in Al Aqsa mosque in Jerusalem. The blaze didn’t cause significant damage, but it did endanger a part of the worship site that’s over 2,000 years old. The Palestine News Agency, cited a guard as saying Monday that "the fire broke out in the guard's room outside the roof of the Marwani Prayer Room, and the fire brigade of Jerusalem Islamic Waqf handled the matter successfully." 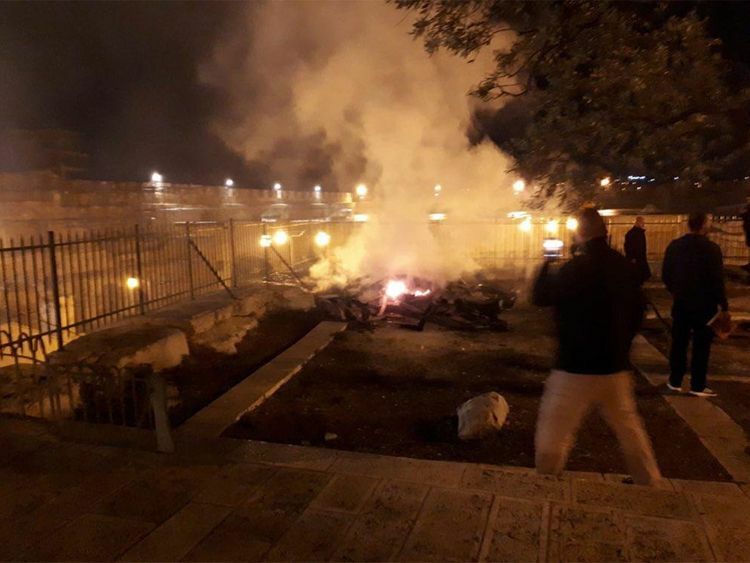 The fire brigade of the Jerusalem Islamic Waqf department managed to control the blaze, while the area is currently closed to examine the cause of the fire. Al Marwani prayer room is located underneath the southeastern corner of Haram Al Sharif, which contains both the Dome of the Rock and Al Aqsa Mosque. The prayer room is an underground vaulted space used as a Muslim prayer hall, some 600 square yards in area, at the bottom of stairs which lead down from Al Aqsa Mosque. Shaikh Azzam Al Khatib, director general of the Jerusalem Waqf and Al Aqsa Mosque Affairs Department, told Jordan's Al Mamlaka TV that the fire broke out in the courtyard and investigations are under way.